Hi. I was just thinking about King Animal Land and looked this up. So sorry about your dad. How is your mom? I hope you remember me as Bobby and Nancy were your friends and Chris expecially. I worked there for 4 yrs loved your mom almost became a elephant rider with her she was going to let me my mom would not. I was kind of a wild child back then but your mom kept me in line. Irene and Sue worked there too it was a family thing. Irene was very close to your mom as was Wendy at the time. I worked from 72 to 76 I believe there. Irene was my boss so. it was fun. I always wondered what happened to all of you. Tell your mom and Chris hi from me!!!. 1/16/2016 - mary ann j. So sorry to hear my friend Walt. passed, I used to work for him in the seventies. He hired me to find out who was cheating him. I worked in the skee-ball part. And was there when we had a tornado warning, and stayed inside. when the storm came thru. Barbara came out to access the damage, the front of the building that held the elephants was laying on the ground. I was glad the lions didn't get out. long story short , Walt hauled the guy who was cheating out by the back of his collar, he was a great man. miss him. and I have an oil painting still that I bought from him of a Lion. Hi billy I remember u when u were in junior high probably. Worked for your father about 3 years a lot of fun. I'm sorry to hear about your dad, I liked him and respected him. He was tough but straight up. RIP Mr.
sorry to hear Mr. King passed recently. I vaguely remember a big yellow Cadillac with license plate: ANMLND. or something like that. Maybe KING on the plate or something close to that. Great memories for all my brothers an nephews here in the late 70's and early 80's. I am sorry to say that my father Walt King passed away on 9/5/15. From health issues. Iwas there in 1965-66. 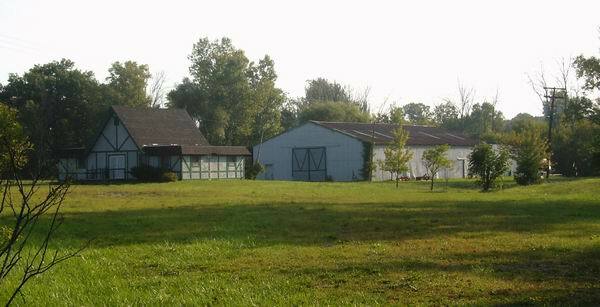 My father was the contractor that built the ticket office and the false frontier looking facade around the big barn. I made friends with Wanda, Tulsa and Sizie the elephants. Sizie was taken out of service for performing as she liked to leave the ring and scoot into the bleachers. I was wondering what ever became of them. Susie was also a pick pocket. If you were not watching her she would check out my pockets to see if there was a treat for her. I also met a tiger named Tinkerbell who was a short time visitor. I also remember that Wanda hated the goat and broke her sliding door. Dad also build a covered bridge over the creek that ran through the area. Tulsa was used to help move the base timbers into place, the tractor was able to get across the creek. I worked there in the summer of 1972. I was kind of under Auggie's control most of the time. He and I got along pretty good, so he let me do a lot of things the other guy's didn't get to do. I did a lot with Queenie, putting her through her routine everyday to get ready for the 2:00 circus act. I also had two dogs to keep trained. A white poodle named Puff-Puff, and a black poodle named Tashmo. They all knew their tricks, so we just had to keep them ready. I remember a time when Auggie and I were trimming Queenie's toenails and Auggie cut in too deep and blood started squirting out and Queenie went a little nuts. I had to try and hold her down with the training hook cane hooked over her ear! I have a lot of pictures of when I worked there, with of all the rides and of Queenie. Someday I'll try to copy them and download them here to show what it was like in 1972! Oh yea, there was a lot of partying back in the picnic area every weekend!!!. Neil, just wondering if you worked there when I did. Worked ther for a couple years in I think 1976 to79. Started out running rides, then mechanic to foreman. Was a lot of fun back then. Met a lot of people. If anyone remembers No is 586 243-1016. Was a lot of partying. Hope to here from yous. WOW, does this bring back some memories, as a young man in the late 60s and early 70s I and many other young people from the area, North East Macomb County, South West St. Clair County, New Haven, Richmond, Armada, and even from the city side, suburbs of Detroit spawned our working careers at this place under the tutorship of Walt and Barbara King. Their two sons, Christopher and Billy were just wee tykes at this time. Most of the young ladies employed were under the supervision of Mrs. King who pretty much run the front office, snack bar and souvenir shop which also served as the entrance to the park for any visitors, as well as the concessions on the mid-way. I would imagine she had much to do with the business end of things as well. While Walt maintained all the other areas of the park, from rides, animal care and exhibits, buildings, picnic grounds and general up keep. My brother Auggie was actually Walt's right hand man, when Mr. King would leave with his elephant show which he toured with frequently. Tulsa and Wanda were his primary road show elephants due to their dispositions, Auggie was in charge under Mrs. Kings direction of course. 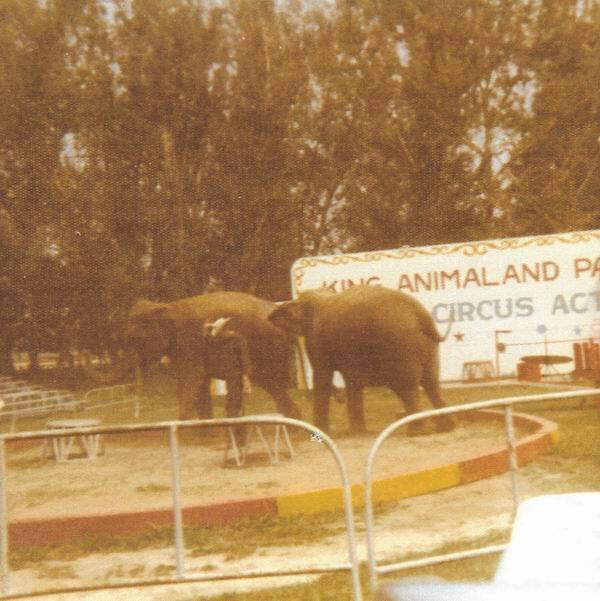 Their was a third elephant, Queenie which was the most mild tempered of the three, she was left to perform at the park twice a day, Auggie took over Walt's position as the trainer during these shows. There was also a dog act with several trained dogs of various (mostly small) breeds, which gave many hours of entertainment to hundreds if not thousands of spectators. A lama act along with a pony act was included, if my memory serves me correctly Christopher was groomed into taking on the pony act at a very young age. Different acts would be highlighted at different times depending on the parks agenda at the time, I recall seeing my first sharp shooter show here, totally awesome! The park was visited by many individuals, and families from the local and surrounding areas, however it served as the summer picnic spot for several larger corporations as well, the big three auto manufacturers among them, schools, churches, and many other organizations as there was everything to accommodate the need, from the amusement side with the rides, ferris wheel, merry go round, also known as the king and queen of the fairway for those who were not aware, along with a small roller coaster, para trooper, haunted/fun house, tilt awhirl and more. Then rides for the little ones also known in the industry as kiddy rides, along with the pony ride shown in the picture above, I am not certain but could have been one of us leading the ring of ponies there, this was necessary to keep them moving. While the children no doubt were happy to ride for the most part, I do recall a few that had no desire although mom or dad wanted that picture of them on the steed so up on the saddle they went willing or not, often with the encouraging adult walking the ring at their side during the ride holding them in the saddle, to the picnic facilities which served as the former stated thousands. I remember the day the lion's arrived at the park, Gary Bunkie had only been employed for a few weeks when this occurred, Walt was seeking someone to take the lion show on the road as he was obviously overloaded with the traveling elephant show not to mention the park responsibilities. Gary jumped at the opportunity, with the show ring set up inside the barn I recall his first entrance as a teenager into the ring of cats with Walt at his side directing his every step. It was here he trained for a while until he started to travel with them to various venues. One being the Armada Fair where Auggie and I visited a couple years later and observed Gary's exciting and dangerous act. Oh and yes the 2000 picnic table count, probably on the conservative side, or at least it felt that way after un-stacking and placing them to open a season and then re-stacking them at season's close. Arcade games such as the balloon game, ring toss, sharp shooter, pick a duck, and knock off were offered during peak traffic times when ample visitors were in the park. 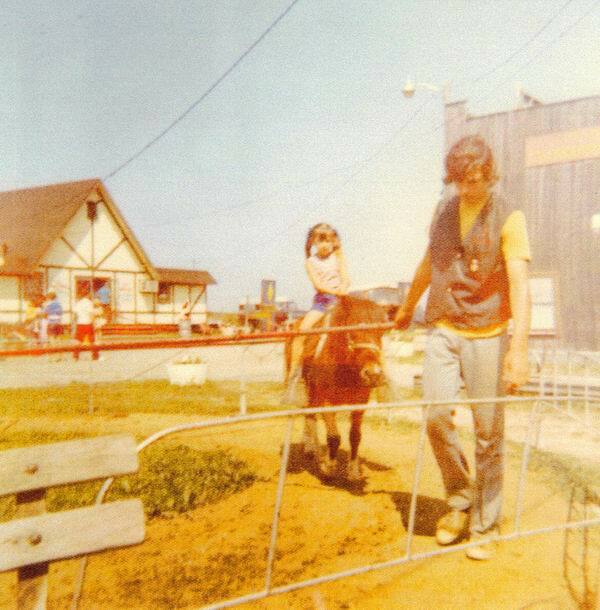 One could cross thru the covered bridge from the mid way and circus areas into the back lot where the petting zoo was located which housed many domestic and exotic animals along with the picnic areas. The animals were many, from everyday barnyard residents such as chickens, ducks, turkeys, geese, rabbits, ponies, pigs, cows, etc. to the unusual such as monkeys, lamas, alpaca's (I know back then they were not as prevalent as today), rain deer along with some I have forgotten about I'm sure. 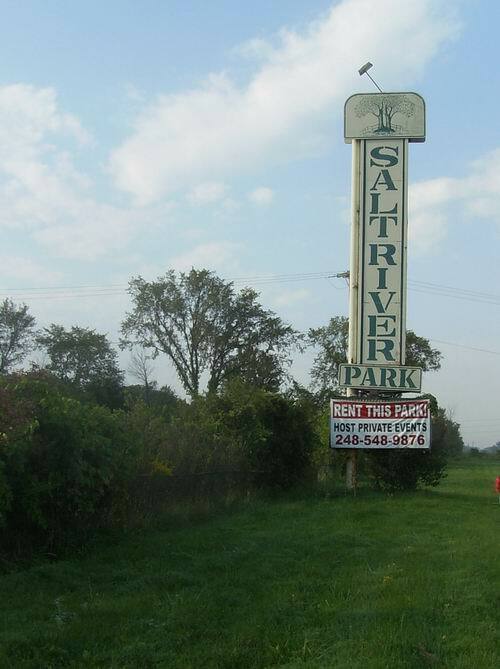 I recall one summer night in the mid to late 70's after the park was downsized and under new management a rock and roll concert was held in this back lot area under a huge tent which included many well known as well as up and coming local bands. While Mr. and Mrs.
King were not involved with this to my knowledge, this was from one who experienced the park at its peak and then to see it at this stage of existence a fitting fair well to a part of my life I will treasure forever!! I wish to extend a hearty hello, and thank you for the opportunity to share this part of history, to all whose paths were crossed and connected thru King's Animal Land Park!! 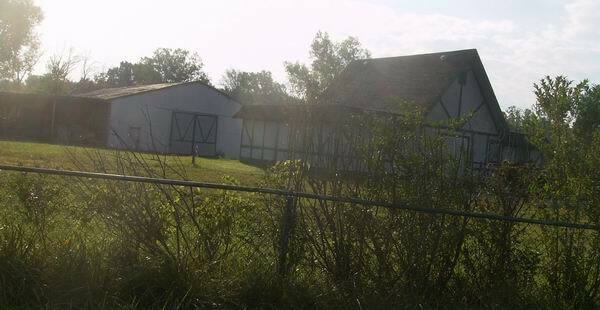 I pass this location frequently, just yesterday 2-4-14, I seen a for sale sign out front. My family visited Animaland many times when I was a child. 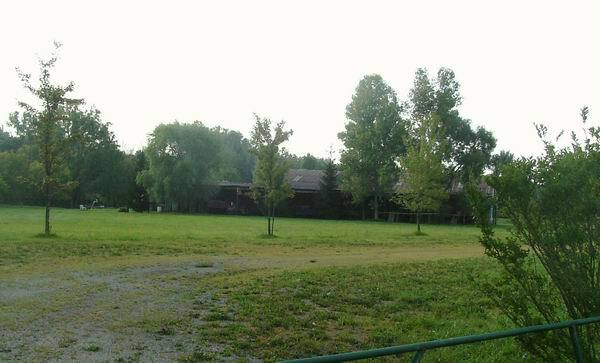 It holds some great memories My father's company (Cross) even had several shop picnics there. They had baby goats in the picnic area that were fun to feed. There was a fun house, the Octopus, mini cars, scrambler, animal shows, petting zoo and much more. I purchased the 10 seat Ferris Wheel from the park in the late 80's. There was evidence of other rides having been there. THANK YOU I have been trying to remember if King Animal Land existed. I remember going as a 5 or 6-year-old. I remember having a blast. 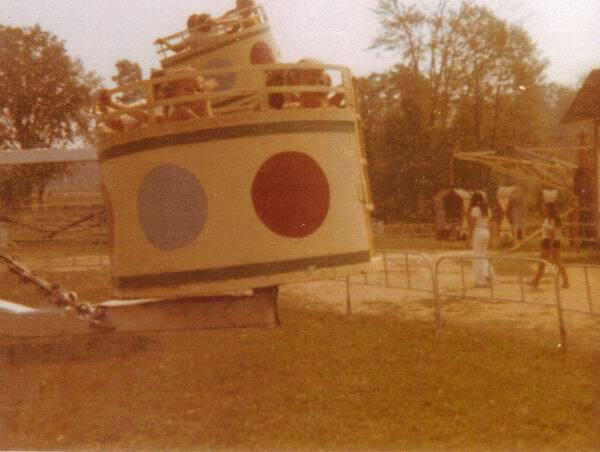 There was an amusement park on M-19, just south of Richmond, MI name King Animaland Park. 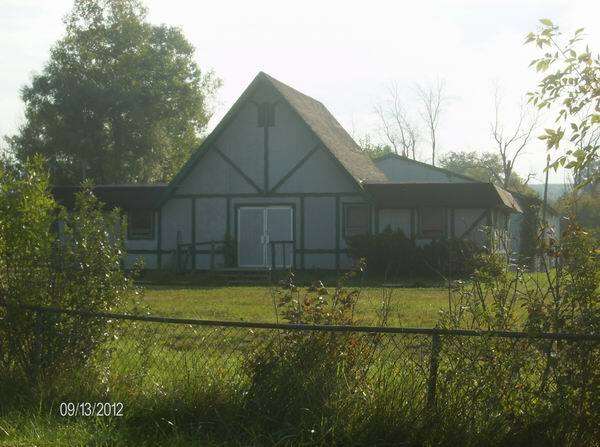 I worked for the owner, Mr. King, for a brief time in early 1980. He had amusement rides, and an animal show with elephants and tigers. 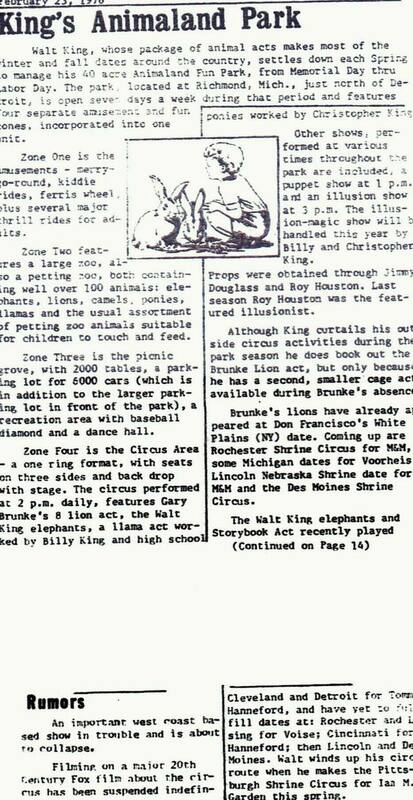 Mr.
King used to take his animals on the road to do shows at various circuses in the Midwest. 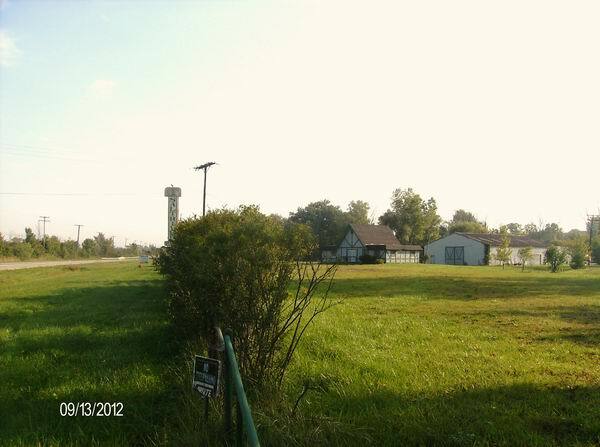 I drove by the property, a few years back, and there's still some remnants of the old buildings in the fenced-in property.